If you could have a drink with anyone in the theater world, who would it be? 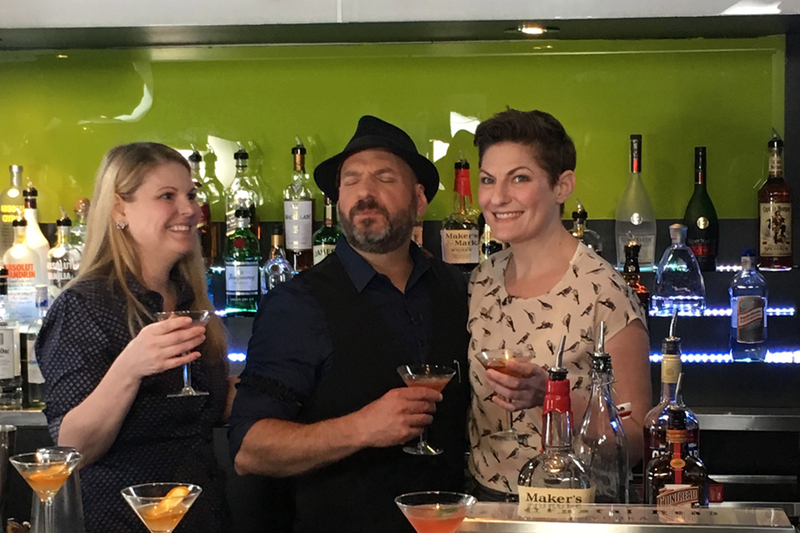 In this episode of Broadway Bartender, host Anthony Caporale welcomes THE AYERS SISTERS to the bar! BECCA AYERS; Broadway: "The Addams Family", "South Pacific" (original revival cast), "Les Miserables" (original 1st revival cast), "Avenue Q". Off-Broadway: "Sarah, Plain and Tall" (Lucille Lortel); "Dogfight" & "Dear Evan Hansen" (Second Stage); "Giant" (Public). iTunes (and most other digital platforms): Spazcandy (with The Perfectly Violent Dream), brainypants and Baresongs (with baby goes bang), and Lovesick.